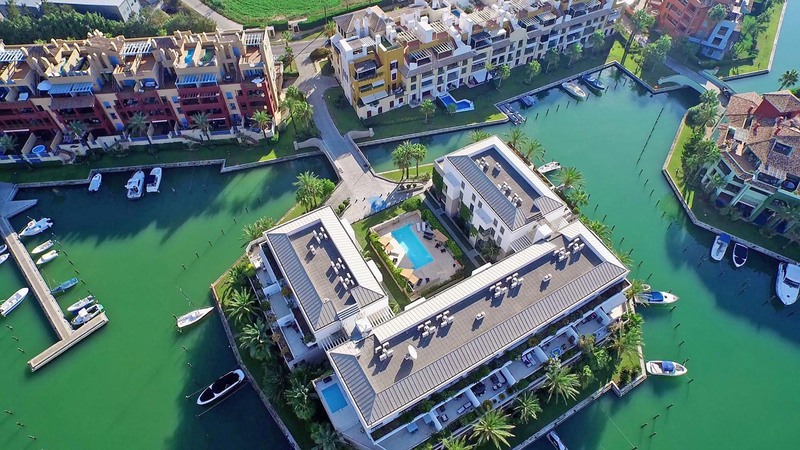 Understanding the current Sotogrande real estate market is vital. Understanding current value and current comparisons for land and building costs as well as recent sales price points is key to this understanding. This comes from experience and knowledge and years of collected data. As a broker we earn when a successful transaction is achieved. To achieve this both vendor and buyer must be satisfied by the outcome. At the same time, it’s our responsibility to give your property maximum exposure and sell for highest possible price. Listing on the Chesterton’s International website. Listing on portals such as Rightmove or Zoopla. Signage: advertising of your property where permitted. An Open House to present your home to other estate agents and their buyers. 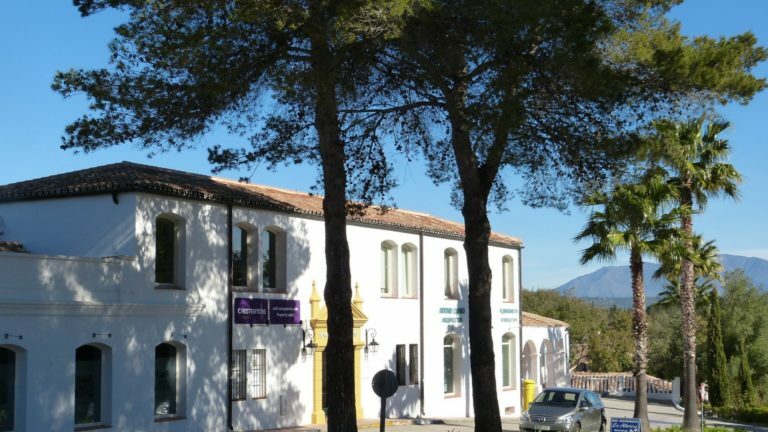 Ads run in El Periódico de Sotogrande as well as other local neighbourhood periodicals. Feature in our Social media initiatives on Facebook, Instagram, Pinterest, YouTube, LinkedIn, and Twitter. Feature your home in our properties of the month section. First impressions may take less than a second to form but are the most important factors when viewing property online. This means that the first photos of your home must capture the viewers’ attention long enough to keep them on that page and encourage them to stay and discover more. Video presentations of a property will hold a buyer’s attention longer than a photograph, especially when they are developed with top-notch production values. True Lifestyle HD Videos provide outstanding quality tours of your property, drawing viewers into your home and fostering an emotional connection second only to being there in person. Even though many images these days are viewed online or on a screen of some sort, it seems we still enjoy holding something ‘concrete’ in our hands that we can pick up and view at our convenience. Eye-catching quality brochures have been proven to be an extremely effective tool to spread the word amongst buyers and agents, and brochures still have an important role to play in a comprehensive marketing strategy. In today’s competitive global market environment, a clear and accurate floor plan becomes a necessary component to a brochure or online information package. Many buyers know exactly what they are looking for and require all the pertinent information to be at their fingertips as they do their research and rank comparable options. Floor plans can also be of critical importance to prospective buyers who may not have the opportunity to view the property first hand prior to purchase. In today’s real estate market, a professional web presence is essential to the successful marketing of your property. Creating excellent, world-class promotional materials for your property is the first phase…communicating that information out to the world is the second phase. This involves knowing how potential buyers are conducting their search for property and ensuring that your property captures their attention. The internet world is an ever-changing landscape, and a crucial part an effective marketing plan is to ensure sure that your listing cuts through all the ‘noise’ out there so that it is quick and easy for buyers to locate, has the correct key words for search engine optimization, and keeps the potential buyer on your page. Online materials are developed to present well on all devices, whether web-based, mobile phones or tablets. A strong social media strategy will keep your listing hot and active! Most people have one or two favourite social media platforms they rely on for information, and our marketing plans include a proactive social media presence to cover all the bases. Facebook, Twitter, Instagram, and YouTube have their own strengths, but common across all social media platforms is the ability to capture attention in a dynamic manner with updates, news ‘flashes’, new photos, and other alerts. Once your property is ready to be listed, the first step will be to introduce it to the community of Estate Agents who are actively searching for properties for their clients. Working with our extensive network of colleagues, we will invite agents to an Open House where they can enjoy refreshments while I host them on a guided tour of your home. This is an excellent opportunity to make a great first impression and share information about your home’s many features. We will answer any questions the agents may have and distribute the customized brochures and promotional materials we have developed. From this positive launch, we can build your home’s exposure with private showings. Sotogrande has its local publications such La Revista de Sotogrande, El Periodico de Sotogrande and La Bocha. Over the years we have accumulated a significant data base of satisfied clients, not only vendors and applicants, but also influential members of the community such as lawyers, bank managers, golf club managers, polo club managers to name a few. 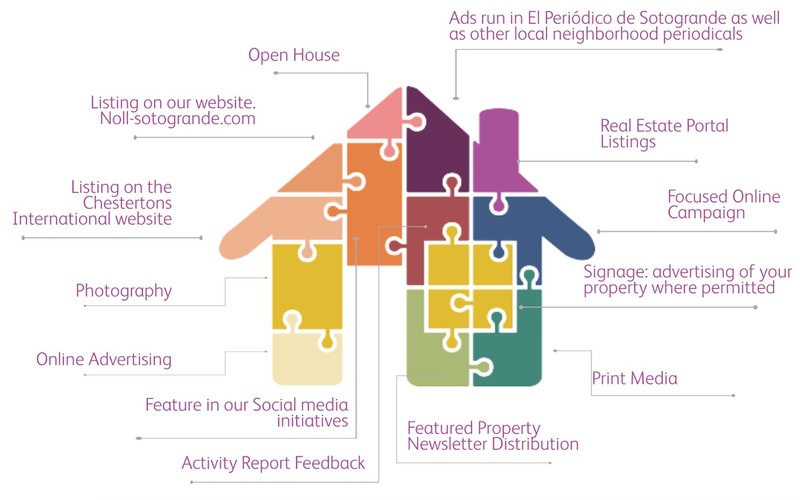 On a regular basis we send out newsletters or bulletins to inform them of new listings and opportunities. It is amazing who well this network of communication works! How often do you get feedback from the estate agents listing your property? We will provide you with a monthly email reporting on activity on your property. The feedback will include number of web viewings, number of enquiries on the property, and number of viewings. In addition, we will keep a record of visits and comments from applicants.